There has been a recent uprise in the music industry with K-Pop and international stars BTS, dominating America. As we get more interested in K-Pop the more, the more oppornuties, such as touring the country and becoming known nationwide, that were given, like the group NCT 127. NCT 127 is the 2nd sub-unit of the boy group NCT, the original 18 member K-Pop. The sub-unit currently consists of 10 members: leader Taeyong, Taeil, Johnny, Doyoung, Yuta, Jaehyun, Win Win, Jungwoo, Mark, Haechan, the maknae. The members, ranging from 24 years old to 18 years old, contained of dancers, vocalist, rappers, a NCT 127 debuted on July 7th, 2016 under SM Entertainment. NCT 127 made their first stateside nationally televised appearance on October 8th, on Jimmy Kimmel Live show, where they performed their new single, “Regular”, for the first time. “Regular” – both the Korean version and the predominantly English version – is a high-energy dance track with a Latin vibe that incorporates Spanish lyrics. NCT 127 also had the opportunity to join Beats1 Radio’s Zane Lowe, where they discussed about their new track and their thoughts on singing in English. NCT 127 even got a surprise facetime call from DJ Khaled, which caused an uproar. DJ Khaled even stated that “[he wanted to] thank [them] for showing [him] love… [He’s] honored that [they said they] even [wanted] to work with [him]!”. NCT 127 even had the chance to meet DJ Khaled’s son, Assad. NCT 127 was also announced as Apple Music´s current ‘Up Next Artist’. Johnny said, in an interview with Apple music, that the difference between NCT and NCT 127 is that ¨NCT is the whole group in general, NCT 127 has the meaning that we start in Seoul and we’re gonna spread our K-Pop around the world”. The group works hard to spread their music worldwide and seeing people accepting their music inspires them to accomplish this goal. NCT 127 is trying to establish themself into the music industry in order to spread their message on a bigger scale. The group even created the #RegulerChallenge, inspired by the song, where an individual or a group shrugs and says “Regular, huh?” when ordering a cup of coffee that is regular sized. The band has done before and hope that the trend would spread from them to the NCTzens, the fandoms name, to the Internet. 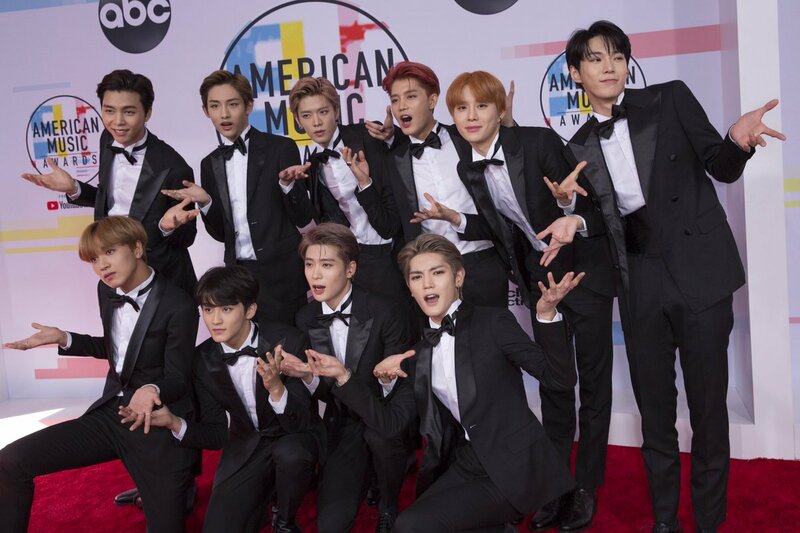 Also on October 9, 2018, NCT 127 made an appearance at this year’s American Music Awards, all in matching black and white suits, paired with simple bow ties. This appearance is another example of the group’s intention to branch out from South Korea and extend their music for everyone to enjoy. Recently, K-Pop group, BTS, has become an internet fave and a nationwide story. With them gaining attention and publicity to the entire K-Pop community, NCT 127 is deciding to show up and get a taste of the action.